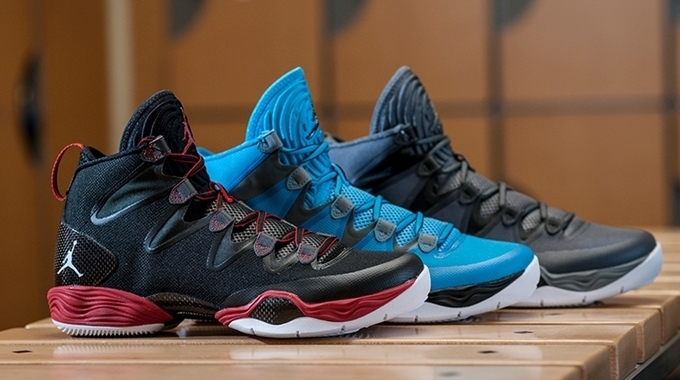 Jordan Brand is still looking to make waves with their 2013 signature model as three new colorways of the Air Jordan XX8 SE hit the sneaker market. This excellent-looking model from JB was released in Black/White-Anthracite-Gym Red, Dark Powder Blue/White-Cool Grey-Black, and Dark Grey/White-Black-Cool Grey colorways. These three colorways could be three of the last editions of this model as a new signature model is expected to be unveiled anytime soon. Get your own pair now at selected Jordan Brand accounts for just $150 per pair.